Asthma and I go back a long way. One cold winter in Bokaro, when I was either 6 or 7, asthma came uninvited into my life. It’s only a slight exaggeration to say that it changed my life. Besides taking a lot of medicines and being bedridden more than the average kid, the big lifestyle impact was that I didn’t play much of any sport during my school or college years. In the 70’s and 80’s, asthma was not well understood – I mean besides the medicines prescribed by allopathic & homeopathic doctors to suppress asthma. Sports Star used to be part of my staple reading during my high school years. I was deeply puzzled when I read that Morten Frost Hansen (Dutch All England badminton champ) and Jackie Joyner-Kersee (heptathlon Olympic uber champion) suffered from asthma in their childhood. I was to learn later that the best way to combat asthma is to exercise “more” (not “less”). My first job (in India) was with Tata Steel at Jamshedpur. Perhaps it was finally the release of academic pressure or maybe it was finally time to beat my nemesis. Whatever the reason, Jamshedpur was where I won my first battle against asthma. Thanks to my dear friends & colleagues Vochak (squash champion from BITS Palani) and JD (squash champion & amateur coach from IT-BHU), I was introduced to the wonderful sport of squash. I scratched and struggled around on the squash court of Beldih Club for nigh on two years. My squash game didn’t threaten but a worthy side effect was that it kept my asthma at bay and I gradually built my cardiovascular fitness. When I moved to USA, I experienced asthma-free bliss for 16 years (barring a few minor episodes of exercise-induced asthma in Chicago). As I wrote in Why are we moving back to India now, we came very close to moving to India in 2005. A casual one week stay in Bangalore suddenly turned into a very real possibility. I had an offer to take up a key role in the Yahoo! Bangalore organization and Poonam also had a great opportunity at a biotech startup. At the eleventh hour, we pulled the plug. The asthma factor was not a major reason but it did figure in the calculations. In all my trips to Bangalore (including this one), the wheezing would start by the second or third day. Fast forward three years. I was planning my 2-week scouting trip to India and wondering Where in India we would be moving to. By our original reckoning, Bangalore should have been on top of our list of prospective cities. However, it had fallen out of favor and was at #3 (behind Delhi and Bombay). This was partly because we were steadily reading stories about Bangalore’s worsening traffic situation, Delhi/Gurgaon’s rise as a techno hub, and of Bombay’s seduction. The elephant in the living room was actually my old nemesis. Poonam (our Chief Research Officer) read many articles about how asthma was getting worse in Bangalore. 50% Bangalore kids hit by asthma screamed this Times of India headline in 2007. Dust mites in the humid atmosphere of Bangalore trigger around 60% of asthma, while vehicular emissions like carbon dioxide, carbon monoxide, benzene, nitrogen oxides, hydrocarbons, aldehydes, sulphur dioxide also act as trigger agents. ‘‘Continuous exposure to allergens like Parthenium could prove fatal for asthma patients as it can lead to a permanent damage of the lungs affecting the respiratory functions’’, said Dr. Rao in this blog post Bangalore still carries ‘asthma city’ tag. Then came a study from WHO and UNICEF that declared that over 30 per cent of Bangalore’s children suffer from asthma. Whoa!! Then out of the blue, Twitter provided a glimmer of hope. I saw the following tweet (or maybe it was a Facebook status message) from one of my Bangalore friends: “down with asthma. Bummer.” You might find the following email exchange interesting. Sorry to hear you are down with asthma. I was reading a few blog posts recently about how the air quality in Bangalore keeps getting worse – pollution + pollen. Why you might wonder? So I suffered from asthma for years – it only stopped after I moved to US (14 years ago). Actively in the throes of moving back to India (looking at Bombay, Delhi, Bangalore as Pune) as prospective cities. The biggest ding against Bangalore (for me personally) is how severely my asthma would return – my last 2 trips to Bangalore were memorable (not!). Would like to know your thoughts.. I can relate a lot to what you say. I was in the US for about 6 months – and was perfectly fine through the period. I am fine elsewhere in India too, In general : Asthma for me is local to Bangalore. I have been here about 10 years, and have learnt to fight it. I am generally fine as long as I am exercising in some form or the other – even a 10 minute walk would do it, as long as its regular. Through various stages, I have practised pranayama, played badminton, gone running, etc regularly. The moment, I get a little lazy – stop exercising for a few days, and asthma reminds me that I cant afford to be lazy in Bangalore. I believe, as long as you are religiously regular with exercise – you can keep asthma away. I myself have considered moving to other cities, but for internet products focussed on the global market – this is the place. There is enough India focussed internet work happening in Bombay & Delhi, but not as many global companies/startups as in Bangalore. Let me know if you have anything specific you are looking at in India – might be able to connect. Thanks for your detailed note on asthma. That certainly re-emboldens my heart towards Bangalore. So I just booked my trip to India – flying in to Bombay on Jun 3 & returning on Jun 18. Plan to cover Bangalore & Delhi as well. Would love to hook up when I’m there. In my blog post chronology so far, a few posts are still incomplete (and hence unpublished). One of them is the “Bangalore Calling” post where I make the case for Bangalore. (Still intend to finish that post but might take a few more weeks). Anyway, I spent 6 days in Bangalore during my 2-week trip and I didn’t feel a single asthma symptom. This was baffling and miraculous. In all my previous three trips to Bangalore, I had asthma trouble so what was different this time? I tried to contain my excitement. Maybe it was the allergy medication which I was taking regularly that acted as a shield. Did it? I have no idea. What this asthma-free Bangalore trip did to me (& Poonam) was that it removed the we-cannot-move-to-Bangalore straightjacket. We still had a healthy apprehension about how this factor would affect the kids and me. The net score in Bangalore’s favor definitely tipped things over for us. I’m completing this post on day#13 and, so far, (touch wood!) I have not felt any symptoms. The traffic is as bad as it was touted to be but ‘maybe’ the pollen counts have come down. Only time will tell. My reply to Meena (via email): Will try to write a follow-up post on my asthma. Short version – mostly (98%) under control — my theory is that it’s because I’ve become a very active and regular long distance runner (2000km a year, 5 marathons last year). Strangely, whenever I take a 2 week break, I start feeling some of the asthma symptoms (though I’m not sure if this is psychosomatic). Before some of the winter morning runs, I take the Asthalin inhaler as a precautionary measure. It is even more wonderful to read about your asthma control. My creaky joints protest at the sound of five marathons! Mighty impressive. You don;t need me to tell you this, but fwiw, stick with the habit! Tweeted a link to an article earlier today from AAAAI, on the importance of exercise in asthma. In a study conducted by UVA, the QOL in asthma sufferers increased significantly in the group that exercised thrice weekly. Additional finding – that, a good warm-up reduced the incidence of exercise induced asthma. Read the article if you get a chance. few observations of mine over the years. I grewup in bangalore with asthma by my side. 1) Moving to Chennai helped me curb Asthma. I went back to bangalore and was admitted twice. 2) The below article proved that the issue with few newly developed areas in bangalore. 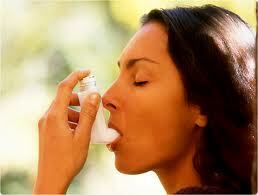 3) Recent discovery – Lesser Vitamin D(sun light) levels induce Asthma. Your exercise could be related to this. I tested my Vit D levels and was deficient. Belated thanks for your comment, Sandeep. Much appreciated.